In the late 1940s, a 14-year-old kid named Billy Al Bengston shed his Kansas skin for a new life in southern California, where he would shape pop art while racing motorcycles, surfing, and riding his bicycle around Venice. He eventually took residence in an old newspaper building near the beach, where work space and gallery space combined, and his friendships with Dennis Hopper, Frank Gehry, Don Bachardy and Andy Warhol influenced a legion of artists. The nearly 79-year-old Bengston has a custom DeRosa, fitted by Ugo himself decades ago. Among his collection of BSA motorcycles sits an early Gary Fisher mountain bike, as well as a Breezer by Fairfax's Joe. Bengston's 'Artist's Studio' at 110 Mildred Street, a nondescript brick building blocks from the ocean and muscle beach, has been home for 60 years. His nickname, Moondoggie, was borrowed for a character in the surfer movie 'Gidget', sparking a watery revolution in the late Fifties. He continues to ride his bike around town. 1. 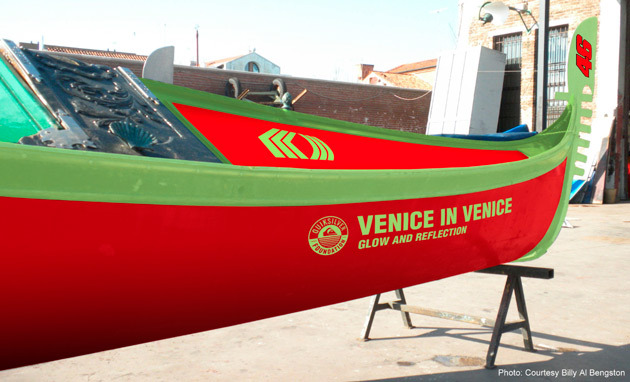 His passion for motorcycle racing continues, and his passione for Italian Moto GP superstar Valentino Rossi was made evident in a custom gondola paint project in Venice, Italy in June 2011. Bengston, who has painted surfboards and furniture as well as artworks in the past, worked with local boat builders in Italy. He called the Ducati-inspired gondola “a marketing product, not an artwork." Instead of the usual, hearselike black, one was painted a bold Ducati red and the other in a light chartreuse, with Rossi's signature '46' on the tail. 3. World-renowned architect Frank Gehry is a longtime friend who made the installation for Bengston’s first retrospective at the Los Angeles County Museum of Art in 1968, a series of furnished rooms in which to see the paintings. 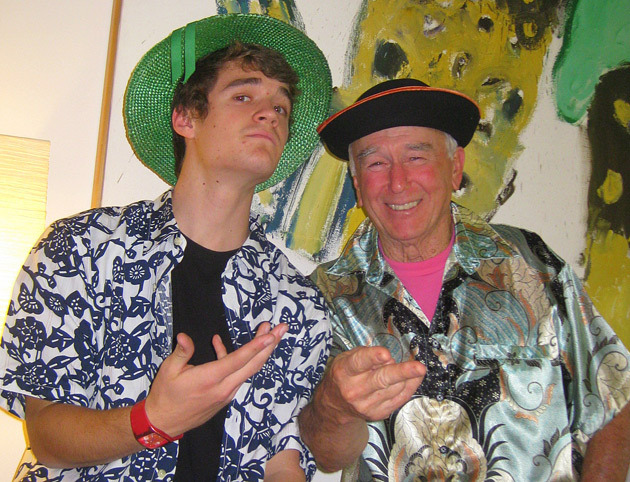 “I’ve learned a lot from Billy, as a colorist, as an inventor, as a talented artist,” Gehry said in a 2004 interview. 4. 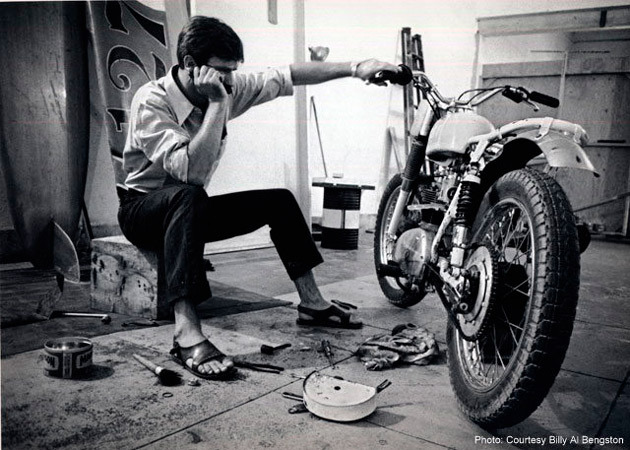 In the early ’60s, Bengston began racing motorcycles professionally; he found inspiration in the bikes, incorporating them as a subject. At the same time, Bengston made his name in the art scene by using laquered auto paint to create high-gloss geometric and abstract forms on metals and canvases, using the chevron and iris as his calling cards. "Both racing and art take tenacity, talent, hard work, knowledge and skill," he said in a 2004 interview.